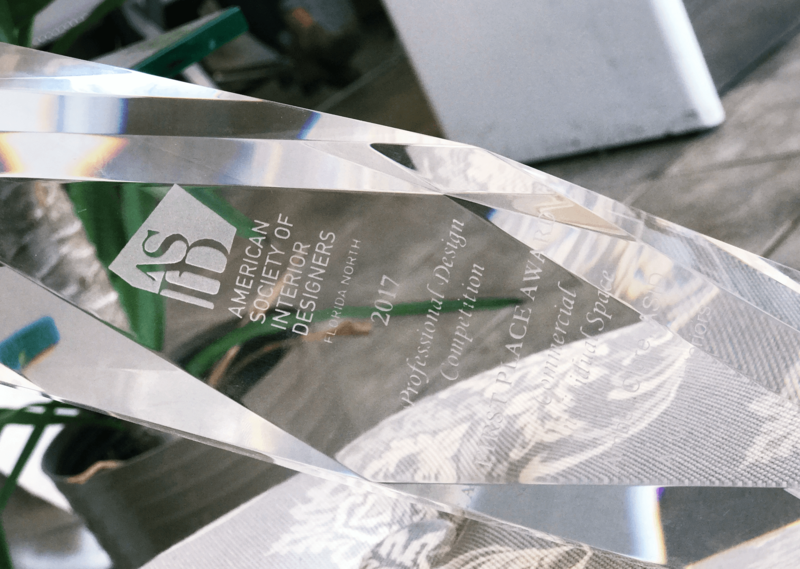 This past weekend the A.Clore team was fortunate to win the award for best commercial interior design space at the annual ASID design competition. 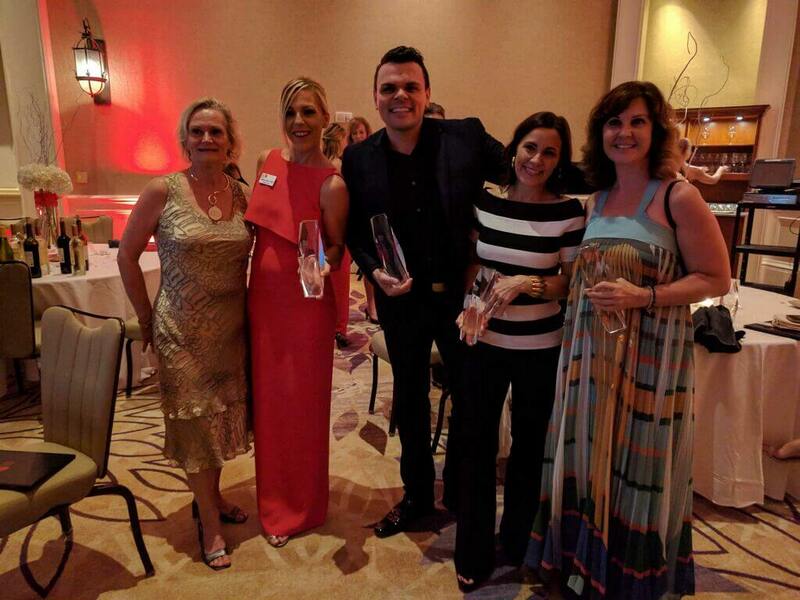 The weekend was filled with joy and our team is very proud to say our hardwork has paid off. 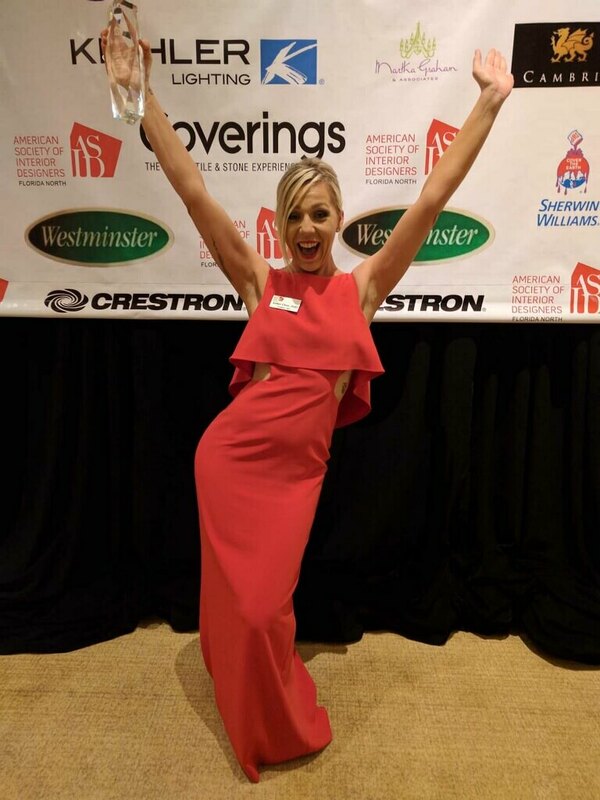 The project that was recognized for the award was a design from November 2016; Suite for a Knight. 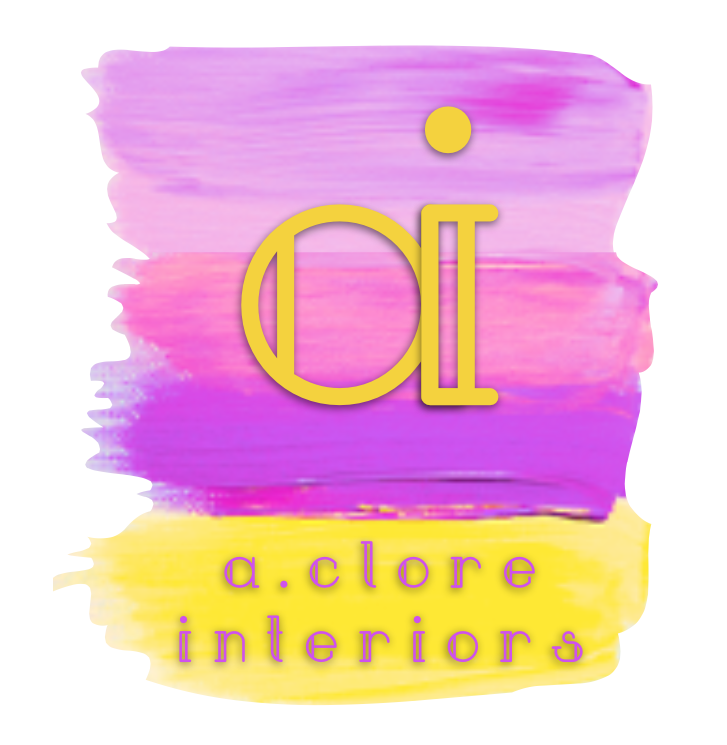 On another note, the weekend was also very special because our head designer and owner of A.Clore Interiors, Amber Clore was inducted as president of the American Society of Interior Designers of North Florida. 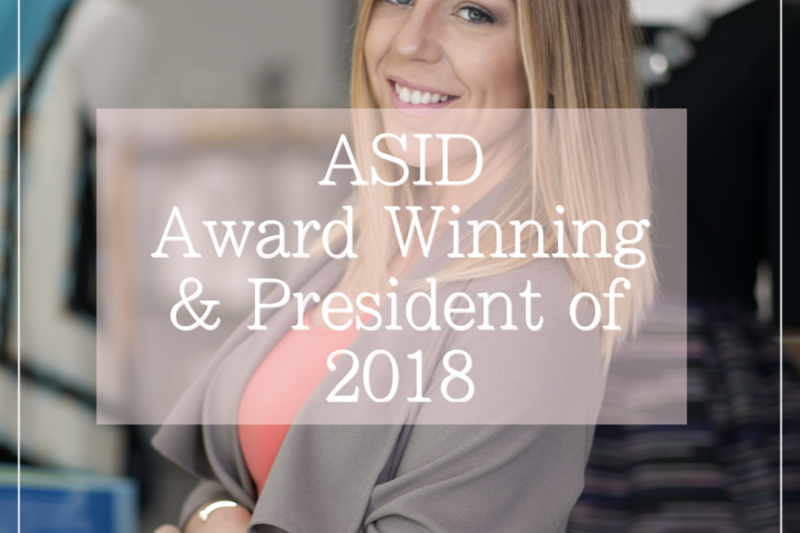 Amber’s goal for ASID is to advocate the profession of Interior Design and continue to further develop her knowledge and expertise in all aspects of the industry. 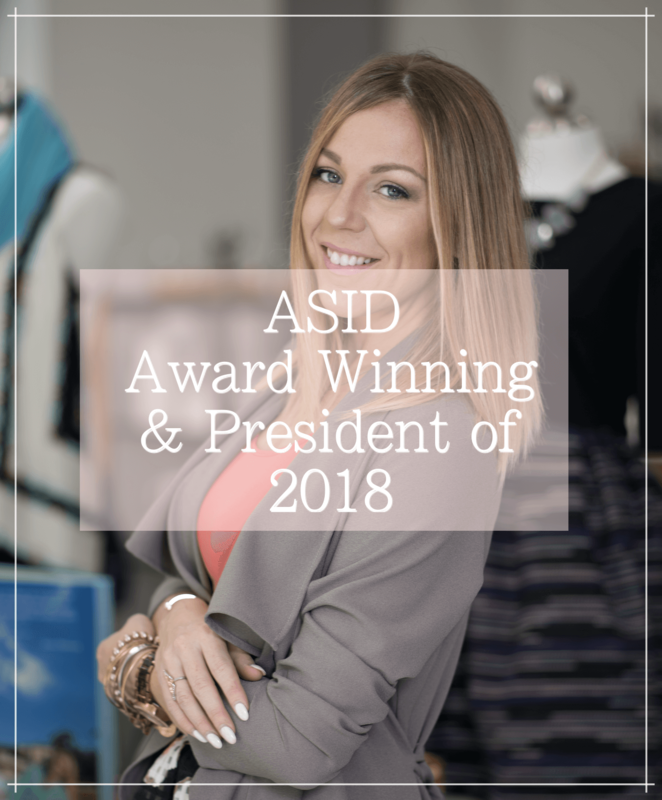 Very ecstatic to be honored with such a role the native Floridian and long time interior designer is ready to take on the tasks and flourish her touch of design as President of ASID. 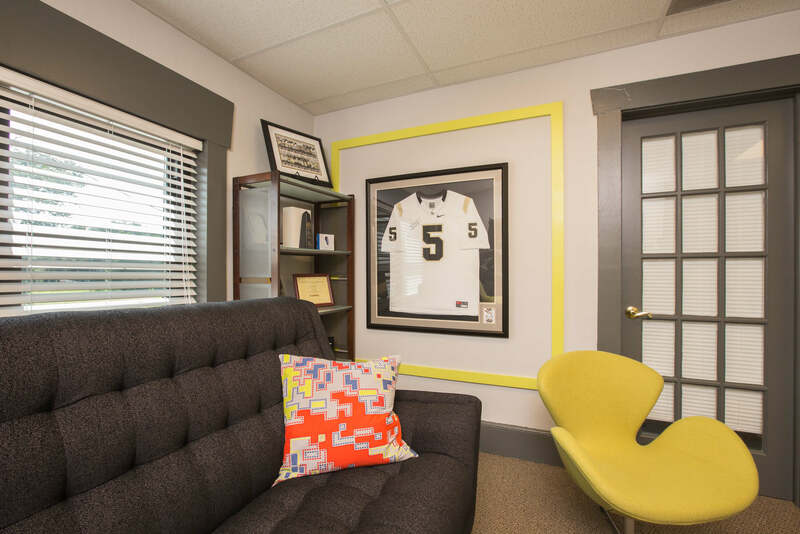 The owner of a fast paced tech company approached the design firm with the challenge of renovating his executive suite so that he would “actually use it.” After quick observation, it was clear the CEO had a love for sports! Thus began the design concept to create a space that showcases the talent of the firm and the personality of its leader and still be a useful space. 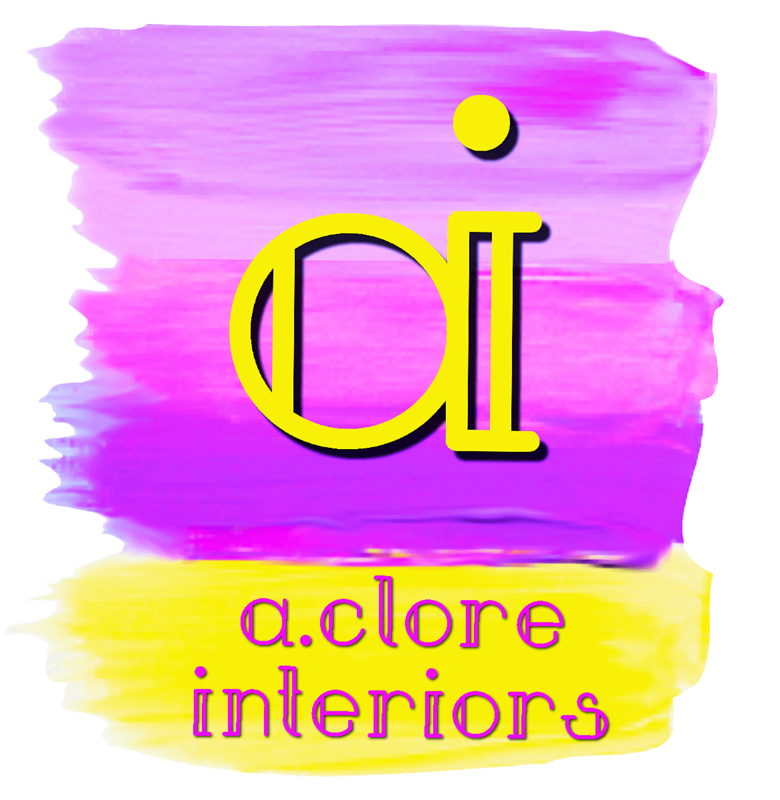 Starting off with the company’s signature limey-green, and combining in the alma mater colors of black and gold, a color palette was born! Time management was definitely a task for this busy CEO. Changing the space in the quickest way possible, NO VOC paint was used to paint the walls and trim. The design team wanted the architecture of space to stand out so the trim was painted dark throughout. Several feature walls were created throughout the space by the use of trim molding and wallpaper. A unique AV challenge was solved by creating a decorative trim pattern on the the TV wall. This was framed in a geometric pattern that created a channel for the cords to go through. Along with the detail trim work, 2 murals were added to the spaces as feature walls. 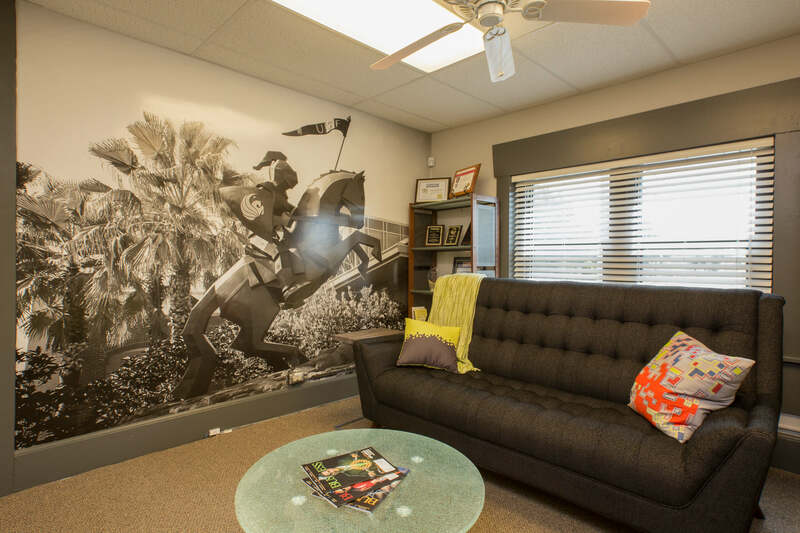 A graffiti wall in the executive office, and a custom photograph from my clients collection. When mentioning being able to take a photo and blow it up on the wall, he got very excited. Toning the colors down to a sepia, the team was able to create the bold backdrop that sets the space apart. 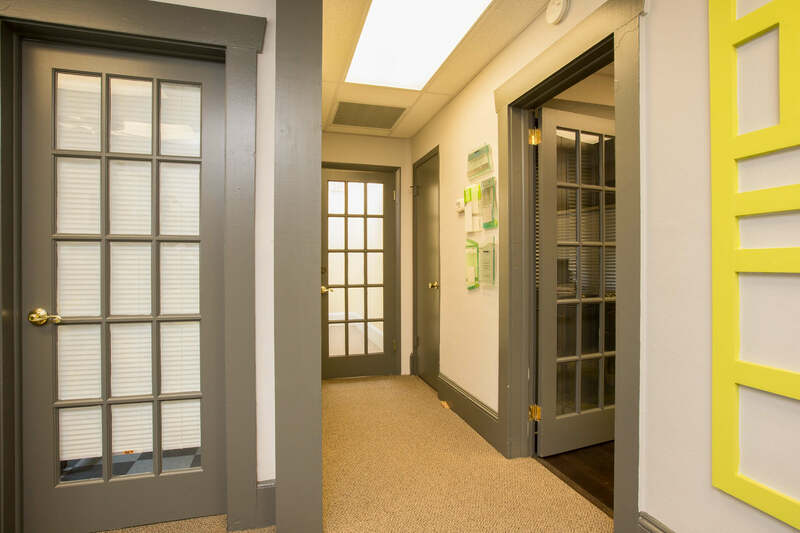 After checking in with the client, he professed that he now loves walking into his office every day and holds regular meetings with his staff in the lounge to show it off! Here’s some more pictures from the weekend!